With this major new investment, UW–Madison pledges to cover four years of tuition and segregated fees for any incoming freshman from Wisconsin whose family’s annual household adjusted gross income is $56,000 or less, roughly the median family income in Wisconsin. Transfer students from Wisconsin meeting the same criteria will receive two years of tuition and segregated fees. 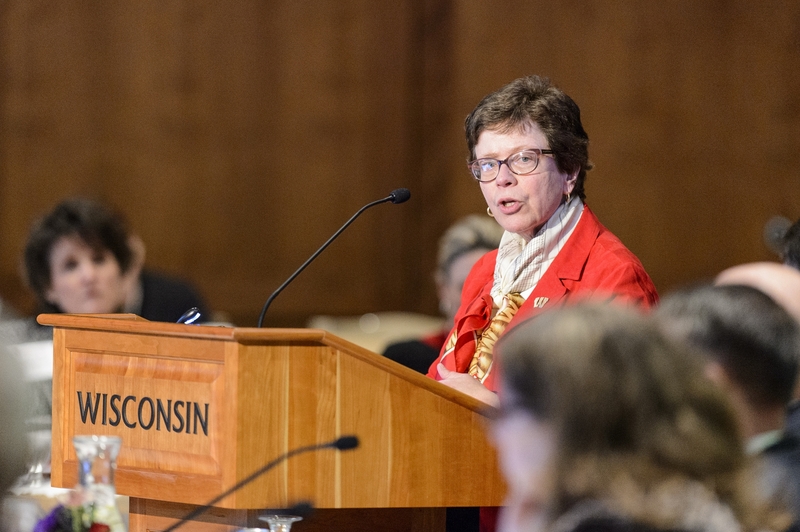 UW–Madison Chancellor Rebecca Blank announced the pledge in Madison today at the February meeting of the Board of Regents of the University of Wisconsin System. Eligibility is straightforward. It is based solely on one line from a family’s federal income tax return called adjusted gross income, or AGI. There are no other qualifying factors, and there is no separate application process. The award is automatic to eligible students based on information they provide through the Free Application for Federal Student Aid (FAFSA). The guarantee begins in the fall of 2018 for incoming freshmen and transfer students. Overall, the pledge is expected to cover more than 800 students in each new incoming class of freshmen and transfer students. 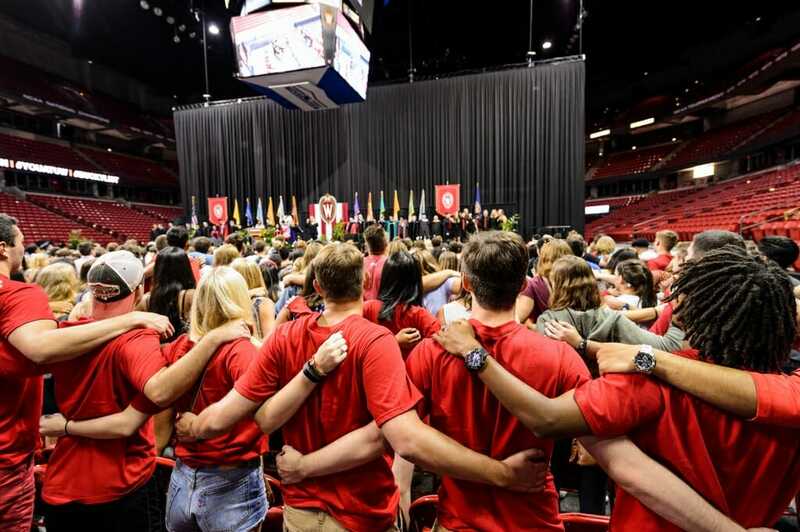 Through Bucky’s Tuition Promise, the university expects to invest about $825,000 per year, per class beyond what it already offers these students in aid. Put another way, by the time four classes of students are fully part of the pledge, UW–Madison will cumulatively be spending about $3.3 million each year on Bucky’s Tuition Promise. This additional financial commitment will be funded through private gifts and other institutional resources, not tax dollars. UW­–Madison is currently seeking additional private support for a number of high-level funding priorities, including scholarships, through its All Ways Forward campaign. Bucky’s Tuition Promise is not the maximum amount of financial aid a student can receive. Rather, it is the university’s minimum commitment. Students may be eligible for further grant or scholarship aid to cover expenses such as housing and food, and students may also be eligible for student loans if they need further help in paying living expenses.